Glenn Rolnick, executive chef at Carmine's, shares his tips for making great pasta. 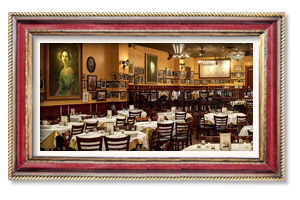 Carmine's is known for the best pasta in NYC and delicious authentic Italian food. Speaker 1: October is National Pasta Month. So, this morning, we’ve brought in a Chef who knows Pasta from “A” to Ziti. Glenn is the Executive Chef at Carmine’s, he’s here with some delicious recipes and some suggestions. Good morning Chef. Speaker 2: I’m glad to see you today. Speaker 1: When we, by the way, wrote A to Zit, is there a pasta that starts with A? We couldn’t come up with it. Alfrano maybe? Speaker 2: Al , then you have your Ziti of course. Speaker 1: There we go, we got the Ziti. Take us through what we have here, this is a delicious looking scrap. Speaker 2: Ok. This is our four pasta special we serve at Carmine’s and this is every Sunday, this is like a family meal. Speaker 1: A big family. Speaker 2: So, we have these fresh, we have with Bolognese, we have the vegetable lasagna, we have with a little bit of tomato. Speaker 1: In general, how many people will you recommend eating this? This is for a family of 4/5? Speaker 2: … but you can kind of push a little bit, then, of course, we have fish, we have chicken, we have every other thing on the Menu but pasta is what we do best. Speaker 1: That’s your big thing and people tend to always come out of there with a little to go back. Speaker 2: Oh, we hope so. We hope so. Speaker 1: Now, people are cooking at home, what are some of the tips for them making pasta at home? It’s deceptively simple but it’s kind of easy to mess up. Speaker 2: It is, it is and a lot of people do mess it up. The water has to be enough water to make sure the pasta is not gummy. Speaker 2: So, we suggest a pound per one gallon of water. Speaker 2: And bring it to a very hot rolling boil, add salt in it, good amount of salt, I’d say about a tablespoon per gallon of water, make sure the water is a rolling boil while the pasta is cooking, do not cover the pasta while it’s cooking. Speaker 1: Do not cover it. Speaker 2: Do not cover it. Speaker 2: So, once the pasta is done and call done Al dente so it has to be to the bite…. Speaker 2: It has to have a feel. It can’t be soft and mushy and truthfully, when you get good at it, you can actually do it by sight. So, we can see that it’s not falling down, it has to be nice and firm. 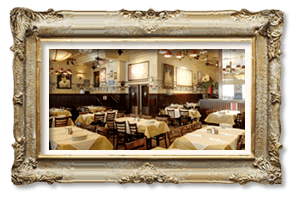 So, at Carmine’s, we’re always making our pasta Al Dente, that’s what we do best. Speaker 1: Of course. And then controversy, some people put it into a sieve and then wash it off, some people say never do it after it’s cooked then what do you do with it? Speaker 2: Don’t wash it off. Speaker 1: Do not wash it off. Speaker 2: Do not wash it off. Speaker 2: If you want that fresh pasta to taste good, you don’t want to lose all of that, you put the seasoning on it, you put the salt in there for a reason, you don’t want to wash that off. So, you want as much flavor in that pasta as possible. Speaker 1: Alright. This is the Sunday Special but, of course, you have every single day of the week. Speaker 2: Oh, what we do best at Carmine’s, spaghetti and meatballs. Speaker 3: Supervise? I was going to take it and walk away. Hi Glenn. Speaker 2: Nice to see you Pat. Speaker 3: Good. Good to see you as always. Speaker 1: Let’s talk the meatballs. Come on. So, what makes a good spaghetti and meatballs? Just a classic there. 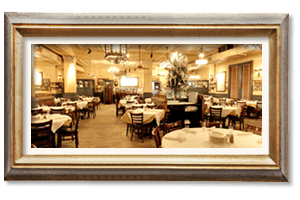 Speaker 2: Look, we use two meats, some people use three, some will use pork beef and veal, we use beef and veal here at Carmine’s because there are some people that don’t eat pork and since Spaghetti and Meatballs are Carmine’s is our number one seller, we have to make sure that we take care of everybody. So, we do veal and we do beef and then we do a little amount of bread crumbs, a good amount of meat, some cold stock in there, you know, usually it’s a light chicken stocks, some bread crumbs, we soften the bread crumbs up with the stock so it’s nice and soft, a lot of garlic, a lot of cheese at Carmine’s. Speaker 3: You know, pasta is so versatile, Glenn, do y’all change the menu up or has it just kind of stayed because, you know, you know what works. So…. Speaker 2: Yes. For sure. 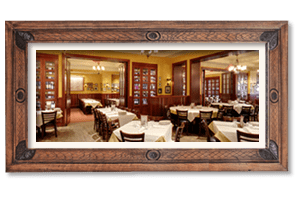 Speaker 3: Do you change it up, you know, as people’s tastes change or they know what to expect when they come to Carmine’s? 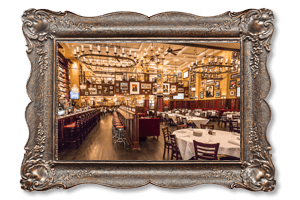 Speaker 2: For 27 years, Carmine’s has been in business especially on the upper west side, that’s where started, then, we’re in Time Square, we’re in Carmine’s AC, we’re in DC, we’re in Vegas, we’re also in the Atlantis and the Bahamas. 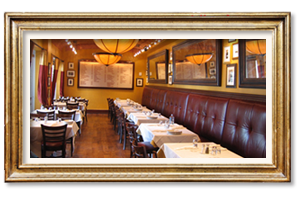 So, we do it right and we make sure that it’s traditional and it’s consistent. So, we don’t change it up a lot because then people are gonna say, “Where’s the pasta that I ate last week?” So, we make sure that we keep it but we do change it a little bit, we definitely take care of people that want lighter meals, we do glutton free, we do a lot of vegetarian type of pastas so, we try to make sure that everybody walks out of there happy after they eat a nice pasta. Speaker 2: And stuffed, of course. We love them stuffed. Speaker 3: There’s lots to go at Carmine’s. Speaker 2: Yes. We like that, we sure do. It’s family oriented. For sure. Speaker 2: Always a pleasure. Speaker 3: Thank you Glenn. Speaker 2: Pleasure being here. Thank you. Speaker 1: You can check out Carmine’s recipes’ on our website by the way, NBCNewYork.com. Speaker 2: Thank you. Pleasure being here. Speaker 3: Even when it’s cold, it’s great. Speaker 2: If we make it hot, it kinda of dies down a little bit so, we make sure we make it right. Speaker 3: Where’s the rest of you?